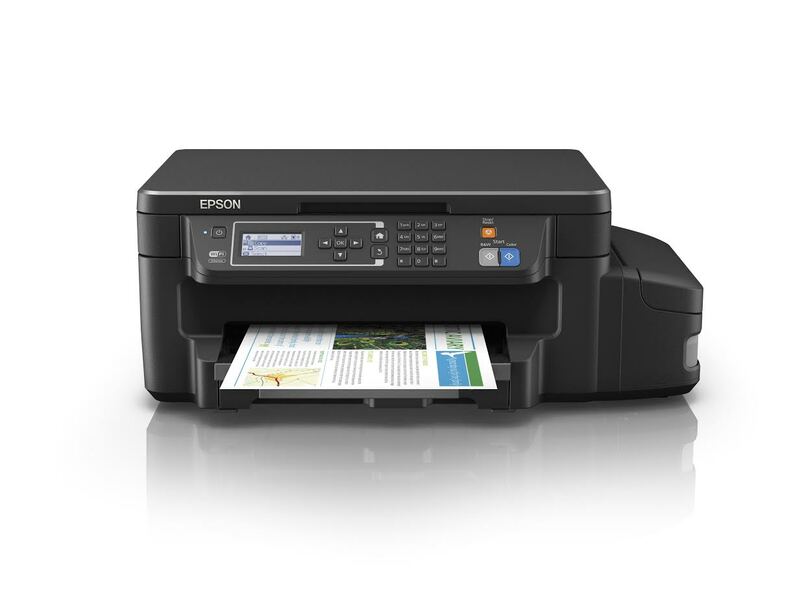 Dubai, UAE: Bringing further choice to its portfolio of Ink Tank System (ITS) printers, Epson has launched two new models aimed at the small and home office market; the L605 and L1455. Both models add double-sided printing to the ITS range; the L605 is Epson’s first 3-in-1 with the feature, and the L1455 is the first 4-in-1 with A3 double-sided printing, plus A3 scanning. Double-sided printing cuts paper usage in half and helps to minimise running costs by automatically printing on both sides of a page. Epson’s ITS printers can already save users up to 90% on the cost of printing, so this new feature will further add to the system’s cost-effectiveness. Designed for high-volume printing, the ultra-high-capacity ink tank means users can say goodbye to cartridges. In their place, the L605 and L1455 are bundled with two sets of high-volume ink bottles. This means that the L1455 can print up to an impressive 10,500 pages, and the L605 up to 11,000 pages2 from the inks included within the box. Consequently, ITS printers provide an extremely low cost per page and are capable of far more printing between refills. It’s not just their cost-effectiveness that makes these models an attractive solution for businesses; they’re also hassle-free, reliable and capable of producing high-quality results. Both models deliver clear, sharp and precise prints thanks to Epson’s durable and reliable Micro Piezo technology and Epson’s genuine inks. Ideal for businesses, these models use dye ink for colour and pigment ink for black to provide quick-drying, smudge-free prints. They’re fast too, with print speeds of 13.7ppm (L605) and 18ppm (L1455). The models are designed for ease and reliability with the purpose-built ink tank fully integrated into the printer. Giving additional peace of mind, both models come with a one year or 50,000-page manufacturer warranty.